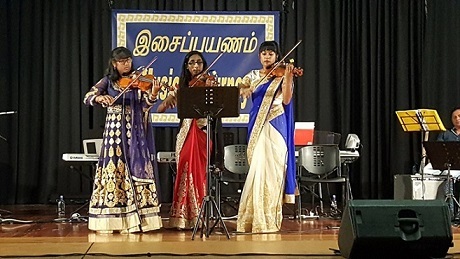 Popular trio of Auckland, the ‘Nanthakumar Sisters’ will appear along with several other talented artistes at the Sixth Annual Concert in the ‘Musical Journey Series next month. Organised by Nadesan Nanthakumar (‘Nantha’ to his friends) in aid of the New Zealand Thirumurugan Temple located at Church Street in Otahuhu, the programme will be held on Saturday, February 24, 2018 from 6 pm at Auckland Normal Intermediate School Hall, Mt Eden, Auckland. Entry tickets, priced at $5 per person can be obtained from 021-1829381. Mr Nanthakumar said that a food stall will be set up at the event, proceeds from which will also be donated to the Temple. 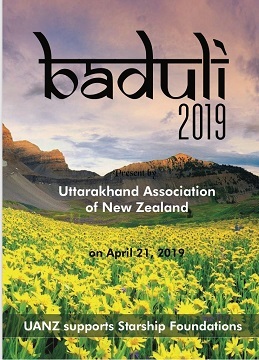 Among the members of the Orchestra are Geerthana Nanthakumar (Keyboard & Violin), Divya Nanthakumar (Keyboard & Violin), Manisha Nanthakumar (Keyboard & Violin), Madan Mohan Kalyan (Violin), Joseph Alexander (Electronic Drums), Antony Yempee (Lead Guitar), Diya Antony (Rhythm Guitar), Vishnu Sreekumar (Bass Guitar), Aravindh Rajagopalan (Bass Guitar), Varun Giridharan (Saxophone), Akhilesh Madhur (Tabla), Vindhya Suresh Ramachandra (Veena), Aarabi Jeyashankar (Veena), Purushoth Prabakaran (Mridangam), Abhishek Ravi (Acoustic Drums) and Rishi Navaneethan (Acoustic Drums). Sobitha and Kruthikan Manoharan as the Masters of Ceremonies. Mr Nanthakumar said that about 60 children are participating in the event. He has been organising the programme since 2013 to promote young talent and to raise funds for the New Zealand Thirumurugan Temple. Thus far, over the past five concerts, Mr Nanthakumar has donated $26,000, raised through sale of tickets and food.